What is in fact the Tru Skin Naturals Vitamin C Serum? Why would you include the TruSkin Serum in your daily routine? What are the most important ingredients within its formula? How often should you use TruSkin serum? 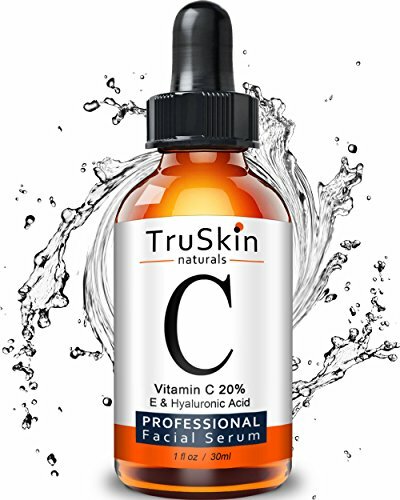 When you’re determined to take good care of your beautiful African-American skin, one of the serums that is going to work at many levels is the TruSkin Naturals Vitamin C Serum for Face, with Hyaluronic Acid & Vitamin E.
The title is just a hint of the ingredients within the formula as the serum includes many others, which sure explain the efficiency and high popularity of the serum. The serum is an advanced antioxidant that includes not only Vitamin C, but also Hyaluronic Acid and Vitamin E.
Even if you know nothing about cosmetic skin care, you should at least know that all of these ingredients fight against aging symptoms, making your skin look younger and healthier. Don’t let the name of the serum mislead you as the serum doesn’t address only the skin aging signs, but also other skin conditions. The formula is far more complex than that which is why you may use the serum for diminishing sun spots, blemishes, irritations of skin. Psoriasis and eczema are also skin issues that you may alleviate when using the TruSkin serum. Able to diminish common signs of aging, the serum leaves your skin firmer, shinier and healthier looking and…who wouldn’t want that? The advanced antioxidant serum includes Vitamin C, Hyaluronic Acid, vitamin E, but also aloe and jojoba oil. The list is way longer than that, but we’re only focusing on the main ones. Vitamin C – it’s a popular ingredient that diminishes the signs of aging and also the dark spots and age spots. It’s efficient to minimizing the appearance of wrinkles and fine lines and leaves the skin glowing and healthier. 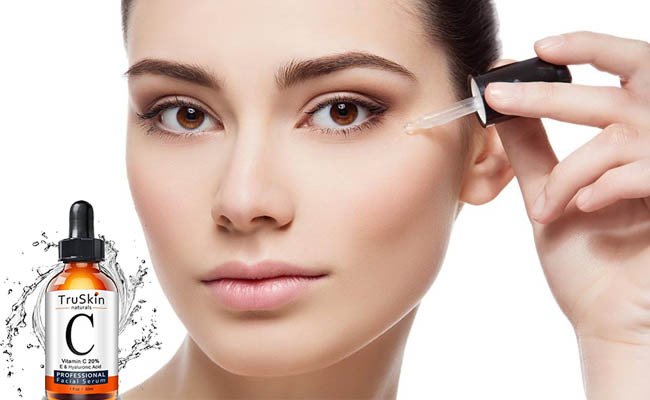 Hyaluronic acid- it’s able to attract moisture and leaves the skin smoother and firmer. It controls how much of the moisture needs to be locked in. the serum is made with botanical hyaluronic acid so it helps the skin to be more adjusting and more resilient. Vitamin E- it’s known for its ability to minimize the fine wrinkles and fine lines. It also whitens the brown spots and is a great choice for the dry and rough skin. Aloe- it’s a great moisturizer that fights against skin aging and lessens the appearance of stretch marks and acne scars. It sooths the skin in case of sunburns and is efficient in case of eczema and psoriasis. Jojoba oil- it controls an oily skin and seals in moisture. It protects the skin from the elements and works great on a cracked and dry skin. It diminishes the effects of sunburns and controls acne too. It’s a main ingredient when treating psoriasis and eczema. The most important thing to remember is that the TruSkin serum has a plant based formula that includes no synthetic color additives, stabilizers or fragrances. It’s also cruelty free and both formulated and bottled in our USA. Even if it’s safe for most out there, you still should rule out the allergy so a patch test is a wise thing to do. The serum has a strong and concentrated formula and its active plant-based ingredients may lead to breakouts and skin irritation. You should wait for 24 hours before start applying the serum so that you know for sure you’re out of the woods with the risk for allergy. Once you know for sure the serum is compatible with your skin, you only need to apply 3-5 drops once a day. Some like to use it even twice. You can also follow it with your typical moisturizer as it has no specific scent. The serum has a lightweight consistency and is easily absorbed into the skin. As you don’t need much for each application, the serum is going to get you go for more than 3 months. There are many good things related to the serum and only few minor things keep it from being the perfect one. As skin reacts differently, one may have to wait longer until obvious improvements on skin. If you’re in need of a plant-based serum that is able to solve most of your skin problems, TruSkin serum isn’t just a valid choice, but also a good deal as it comes with a bargain price too. Read our reviews of similar products: the Meladerm Whitening Cream, the Admire My Skin 2% Hydroquinone Dark Spot Remover, the Active Pigment & Lifting Cream by Tulip Natural, the Neocutis Perle Skin Brightening Cream, the Caudalie Vinoperfect Radiance Serum.